ExMplayer (Extended Mplayer) is a beautiful MPlayer GUI with powerful features, such as flow view, media cutter, audio converter / extractor and 3D videos. It plays any files with out any codec,199 audio and 416 video built-in external codecs. So ExMplayer can play any media format. Supports network streaming and subtitles. Under Tools menu, there are Audio Converter supports more than 10 different audio file format conversions, Audio Extractor supports high quality audio extraction without losing audio quality, and Media Cutter with media quality preserved. Since v3.0, ExMplayer can play 3D videos (Side by Side or Above-Below format). So far, ExMplayer PPA only contains packages for Ubuntu 12.04 Precise, Ubuntu 14.04, Ubuntu 13.10, Ubuntu 13.04, Ubuntu 12.10, Ubuntu 10.04. 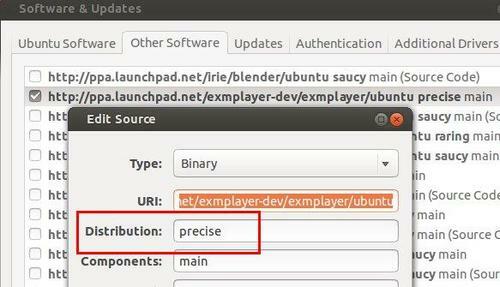 But it works good in my Ubuntu 13.10 Saucy 64 bit. You can download ExMplayer Debs from launchpad page if you don’t want to add the PPA. Does anyone know how to install this on arch linux?